The Apostle Paul makes clear that the heart of the Gospel is found in the death, burial, resurrection, and appearances of Jesus (1 Corinthians 15:1-8). 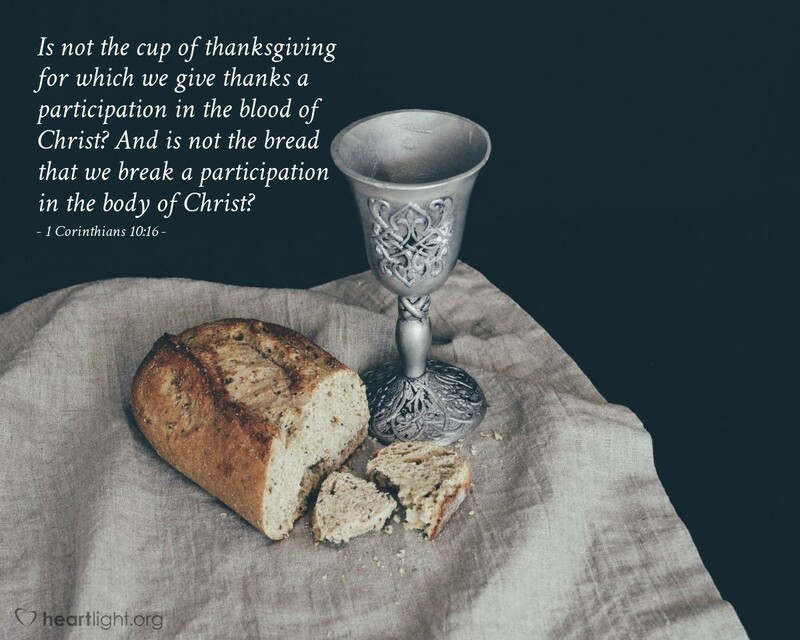 The Lord's Supper, Communion or Eucharist as it is sometimes called, is a key part of our walk with Christ. It is a time where we proclaim the story of the Gospel (cf. 1 Corinthians 11:26). But, it is more than a time of proclamation; it is a time of participation. We share in the supper with each other and with Christ. This participation revitalizes us in our walk with the Savior and helps us re-live his saving death and resurrection. Holy God and loving Father, thank you for giving me the Lord's Supper. It is such a beautiful and convicting reminder of the tremendous cost Jesus paid for my sin. It is such a beautiful reminder of the love you have for me and the ransom paid to set me free from sin and death. Thank you for inviting me to share in the holy sacrifice of your Son and my Savior. May I never take it for granted or misuse this precious gift to me. In Jesus' name I pray. Amen.